According to AARP, nearly 90% of people over age 65 want to stay at home for as long as possible. And living at home may offer an aging parent or relative a few emotional benefits, but the thought of getting a call about a fall or a minor accident might have you concerned. With the right kind of assistance, you can help your aging parent or relative live in their home safely. It all starts with making sure their environment is appropriate to their physical needs. Are you home for the holidays and visiting an elderly parent or relative? Are you concerned about their ability to live independently? Examine all visual appearances. Any changes you see in your parent can indicate a decline in mobility and difficulty taking care of personal needs or the home as well as before. First on your list should be an observation of your parent’s physical appearance. If your mother has always been a stickler for having her hair being in style and impeccably dressed, pay attention if you notice her hair is not done or clothes are stained. This could indicate she needs help with grooming, getting dressed, or personal hygiene. Also look for changes in your parent’s weight. Does your father look much thinner than the last time you saw him? If so, perhaps it’s now difficult for him to do a grocery shop or prepare his own meals. Check to see what’s in the pantry and refrigerator. If you see a lot of canned goods or foods that have gone bad, it may be time to consider a meal delivery service. There are many community resources in MoCo and DC that support aging in place in our community. If you have questions or concerns, let us know. Make note, of the things that seem “out of the ordinary”. Assess overall mobility. Does your parent get out of breath walking to the mailbox? What about navigating the stairs? Watch closely as your parent gets in and out of a chair. Are they moving gingerly or extra slow? Is there any pain associated with mobility? Check on the maintenance of your parent’s house, particularly if it’s an older home. Do you see watermarks along the ceiling or walls? Is the HVAC running properly? Repair issues aren’t always visible if you’re a novice in this area, so consider calling a home maintenance specialist who can provide you with a professional evaluation of the home’s mechanicals. In addition, you may want to set up maintenance plans or service contracts for household appliances. Inspect your parent’s vehicle. If you don’t know what to look for under the hood, consider scheduling a service check. If you see any dings or dents in the body of the car, your parent may have had one or more fender benders. Aging adults can’t always react quickly and changes in their reflexes can make driving unsafe for them and others. Minor accidents can also point to a decline in vision. You may also need to schedule an eye exam for your parent to determine changes in vision is normal and due to age, or the result of something else, such as cataracts. If you’re told your parent has cataracts, ask the optometrist about surgery options since they can often be removed successfully through a minor procedure. A car is extremely important to independent living but you do not want to jeopardize an aging parents safety or others in the community. There are many services that provide safe transportation options for our aging parents and spouses. The last thing to assess may not be the most obvious — effects of loneliness. Loneliness can have a major impact on the decline of an elderly person’s mental and physical health. The good news is, these feelings can be lessened or prevented if you anticipate your parent might become lonely. There are a lot of opportunities in MoCo and DC to tackle loneliness in our communities. No one with an aging parent likes to think about the difficulties of growing older. Longevity is a blessing, but there are also challenges you’ll need to address — especially if you’re not local. An older parent who needs care is probably not going to be forthright about these issues, either because of pride or just not wanting to be a burden. Therefore, it will be up to you to make decisions based on your overall assessment. 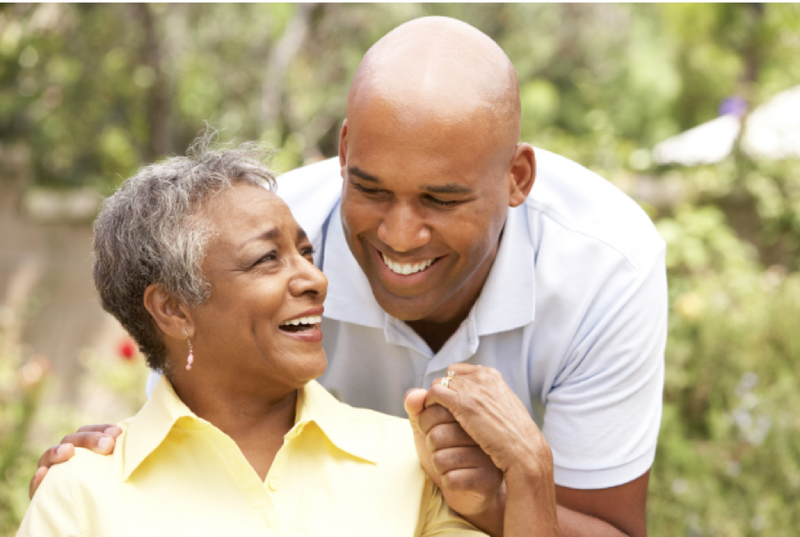 Use this holiday season to spend quality time with your parent, spouse or loved one. Show lots of love and reassurance, but also use this as an opportunity to be realistic about what is needed. Let your loved one know that you respect his/her feelings and also want to help with safety and comfort. By having the proper knowledge, you’ll be able to do what’s best. If you find that your parent needs assistance with living independently, consider SmithLife Homecare. We offer a variety of services to help your aging parent or relative continue living in their home safely. See a list of services here.